Model Specifications: Model size is listed by the outside diameter of the reel. Spool width describes the inside width of the spool. Reel weight is given in ounces without line installed. Our two trout models feature a preset Gear & Pawl drag system for spool control while paying out line to a running fish. 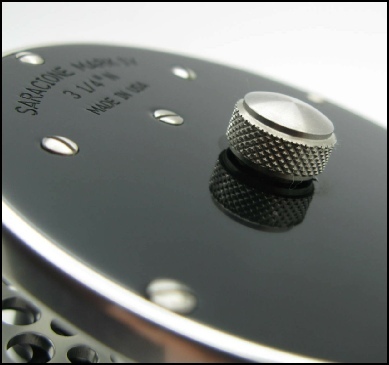 The drag is designed to control the over-run of the spool with just a light drag to protect light tippets. Reels are precision machined from 6061-T6 Aluminum Alloy, 300 Series Stainless Steel and Silicone Bronze. Trout models cannot be retrieve converted, and must be ordered according to individual needs LHW or RHW. 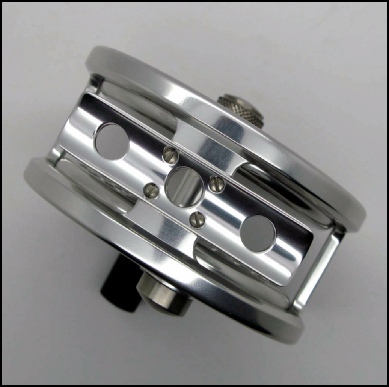 Model 3 1/4” N: Spool width : 11/16” Weight: 6.2 ounces. Fly line 3,4,5 Capacity 60 yards 20# Dacron DT4F or WF5F. Application: Great all round trout model for 4 and 5 wt lines on 8 ½ to 9 ft graphite rods, and 7½ to 8 ft bamboo rods. This item ships within 8 weeks after placing your order. Model 3”: Spool width: 13/16”. Weight: 5.7 ounces. Fly line:4,5,6 wt. Capacity: 50 yards 20# Dacron DT5F or WF6F. Our most popular trout reel for those anglers fishing bamboo rods 7 to 7 ½ feet and graphite or fiberglass rods 7 ½ to 8 ½ feet in length. Model 2 3/4”: Spool width: 13/16”. Weight: 5.1 ounces. Fly line: 2,3,4 wt. Capacity: 45 yards 20# Dacron DT3F or WF4F. 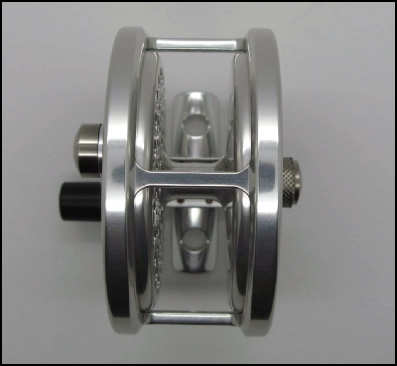 This size reel has historically been a favorite with fans of bamboo rods in the 6 to 7 ft range and fiberglass rods 7 to 8 ft long. Model 3 1/4”: Spool width: 13/16”. Weight: 6.3 ounces. Fly line: 5,6,7 Capacity: 100 yards 20# Dacron WF7F. 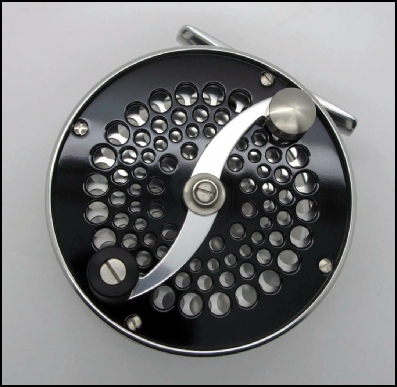 Application; Our large trout reel for use on 7 ½ to 8 1/2 ft bamboo rods, and 8 ½ to 9 ½ ft glass and graphite rods balanced for the 5,6 and 7 wt lines.